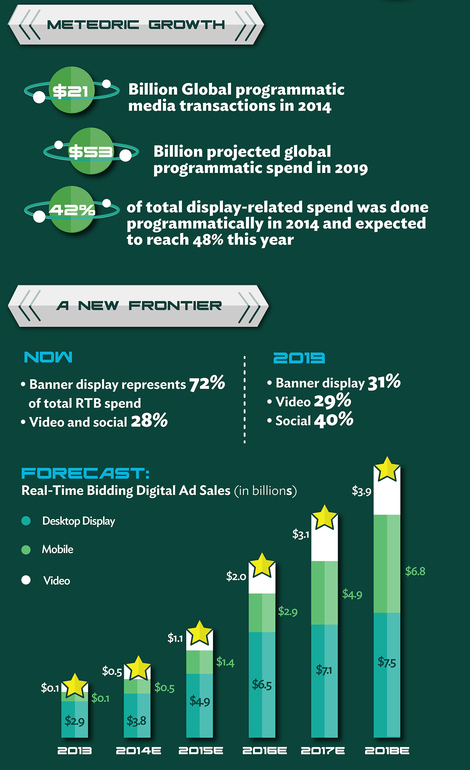 Yieldr has created the following infographic to show the growth of programmatic in the last year. Including $21bn global programmatic media transactions in 2014 and a projected $53bn spend in 2019. Click below for the full length infographic.